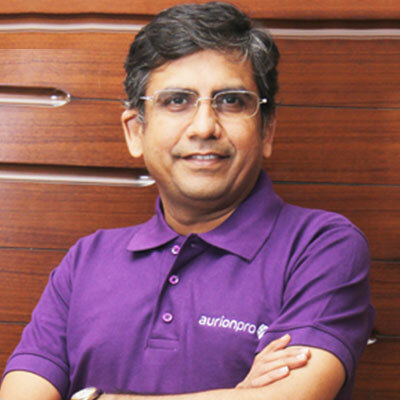 Amit Sheth is one of the co-founders of Aurionpro and one of the key drivers of growth for the company. Since 1997, he has steered the accelerated growth of the Banking & Financial Technologies Business. He got the company listed on BSE & NSE and was instrumental in building the company’s product and services portfolio organically and through a series of Mergers and Acquisition. As Co-Chairman, Amit focuses on the long-term growth of the company through the formulation of new business alliances and strategic partnerships, as well as through future inorganic growth opportunities. He brings more than 18 years of experience in corporate finance, equities and technology to his role, as well as deep domain expertise in banking operations and transaction banking. . An acclaimed thought leader in the banking industry, a regular contributor to regional banking conferences, panel discussions, and trade publications. Prior to Aurionpro, Amit held key positions at Twentieth Century Finance and Lloyds Securities. Amit is an engineering graduate and an MBA in finance. He is based out of Aurionpro’s headquarters in Mumbai, India.